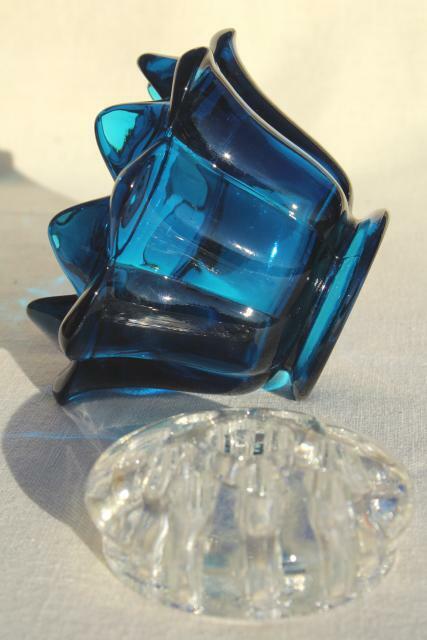 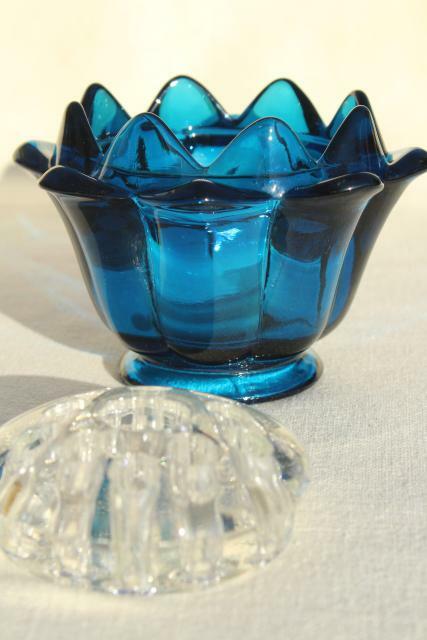 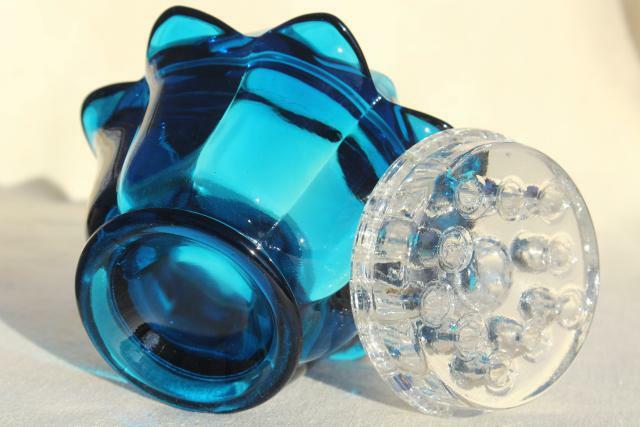 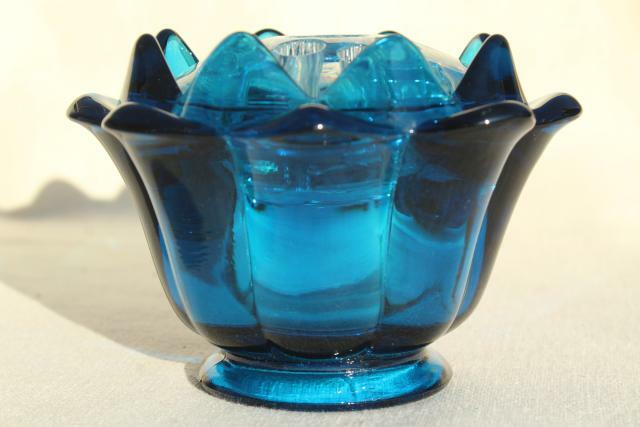 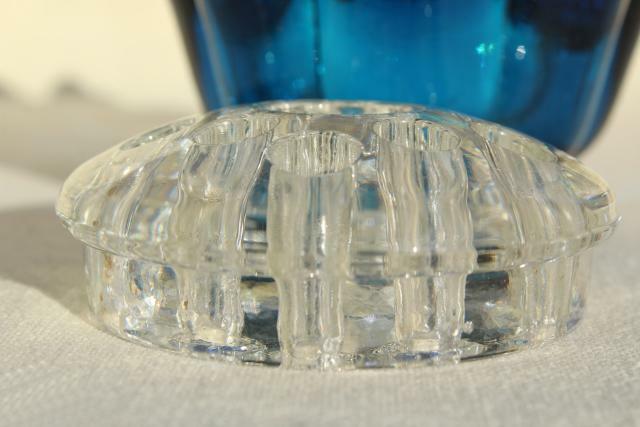 1970s vintage Viking glass bluenique colored glass lotus flower or artichoke shaped vase with crystal clear glass flower frog / candle holder insert. 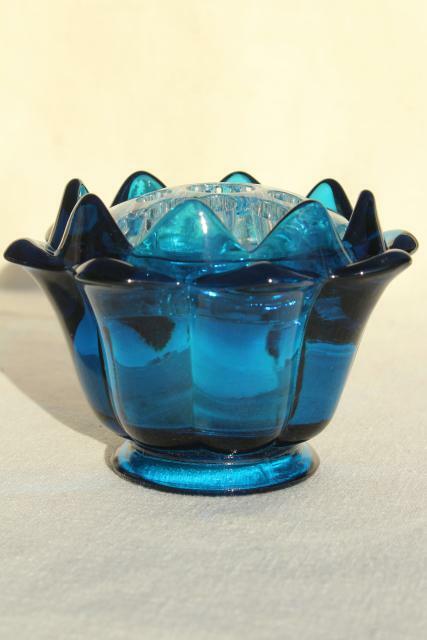 This is lovely, very heavy art glass, in excellent condition without damage or wear. 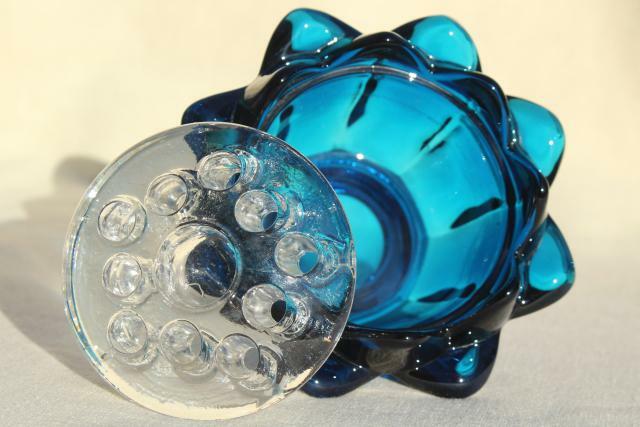 The flower bowl measures about 5" in diameter x 4 1/4" tall.